I couldn’t recommend Steve highly enough! I started driving with Steve after several years of not having the confidence to drive. At 17 I had several lessons with another instructor but my confidence was severely knocked. The instructor convinced me that driving was something I would never be able to do, or at the very most only in an automatic. I finally approached Steve at LDC after reading reviews on his website. Straight away he put me fully at ease. 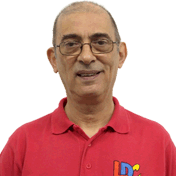 I think he is a brilliant teacher at helping you to learn for yourself and to be a critical thinker in the learning process. He made me finally feel that driving was achievable, broken down into small steps. He was incredibly patient. The Driving Skills DVD and workbook were invaluable tools helping you to understand the procedures and routines prior to each lesson. I was certainly not a natural driver and driving seemed the biggest obstacle in my life. Therefore passing, and passing on my first attempt was honestly the greatest achievement of my life and the best day ever. 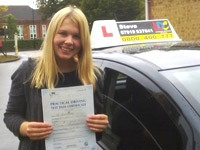 I'm a driving instructor in Chandlers Ford, Eastleigh, Winchester, Southampton, Hedge End, Totton and surrounding areas.